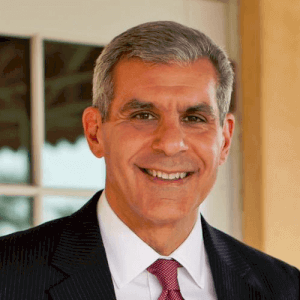 Former state Sen. Joseph M. Kyrillos will moderate “Jobs, the Economy, and Global Competition: New Jersey and the Macro Economy,” on Thursday, March 7 at 10 a.m. in Wilson Auditorium. This is the third of four panel discussions he will lead as the 2018-2019 Monmouth University Public Servant-in- Residence. Previous panel discussions in the series focused on pension and benefit reform as well as bridging the partisan divide. 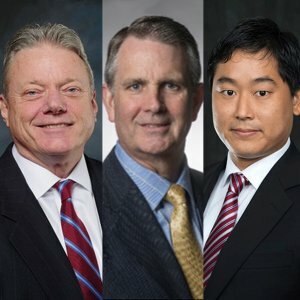 The March 7 panel will feature business and economic leaders including: Joseph Taylor, former chairman and chief executive officer of Panasonic North America; Christopher Maher, chairman, president and chief executive officer of OceanFirst Bank and Monmouth University trustee; and Ryotaro Tashiro, regional economic advisor, Federal Reserve Bank of Philadelphia. Announced earlier this fall, Kyrillos is currently serving as Monmouth University’s Public Servant-in-Residence. In January 2018, Kyrillos ended a nearly 30-year career in the New Jersey Legislature. He served as majority conference leader and chaired standing committees on economic development and coastal resources. He was also chairman of the Republican State Committee from 2001-2004 and his party’s nominee for the U.S. Senate in 2012. 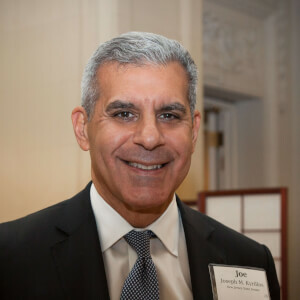 Kyrillos holds a master’s in communications from Boston University and a bachelor’s in political science from Hobart College. He is affiliated with Newmark Knight Frank, a global real estate services firm, Newport Capital Group, a financial services firm, and his consulting firm, SK Partners. Taylor served as chairman and CEO of Panasonic Corp. of North America for seven years, retiring in 2017 after a nearly 34-year career with the main American subsidiary of Panasonic Corp. The first American executive officer and managing executive officer of the Panasonic Corp., as well as the first non-Japanese executive to serve as chairman and CEO of Panasonic Corp. of North America, Taylor successfully led the company’s business transformation, shifting its focus from consumer electronics products to business-to-business and business-to-government solutions. He led the company’s growth in each year of his tenure and was responsible for creating Panasonic’s Smart City initiatives, which demonstrate how public-private partnerships can work to improve the quality of life of residents. Taylor was instrumental in the decision to move the company’s headquarters to Newark, New Jersey in 2013. 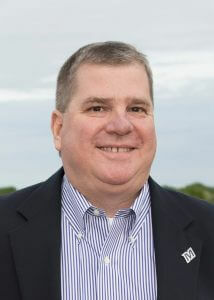 Maher is chairman, president and CEO of OceanFirst Financial Corp. and OceanFirst Bank. 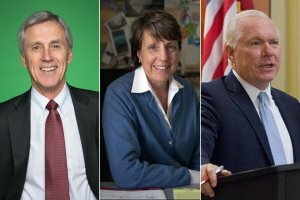 He has also served as a member of the Monmouth University Board of Trustees since 2015 and was elected treasurer of the board in 2018. With more than 25 years of experience in financial services and related industries, Maher’s banking career is diverse and has included responsibilities in retail banking, consumer lending, and insurance services. He joined OceanFirst in 2013 as president and chief operating officer and became CEO in 2015 and chairman of the board in 2017. Maher is also the chairman of the board of directors of OceanFirst Foundation. Maher is active in the non-profit community, serving as a director of Hackensack Meridian Health Hospitals and Hackensack Meridian Residential Care. He is also chairman of the Board of Trustees of Helen Keller Services, a national non-profit agency serving people with hearing and visual disabilities, where he has been involved since 1998. Tashiro is a regional economic advisor in the Research Department of the Federal Reserve Bank of Philadelphia. He is responsible for conducting research on current regional economic issues in the Federal Reserve’s Third District and informing external audiences on national and regional economic conditions, monetary policy, and the role of the Federal Reserve in the economy. Prior to joining the Bank, Tashiro was a business analyst for Bloomberg, where he was responsible for conducting research on issues related to equity data quality. He also has substantial teaching experience, ranging from high school advanced placement economics to undergraduate intermediate Japanese and intermediate Spanish. 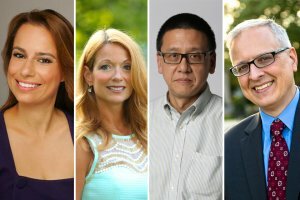 Tashiro has a master’s degree in economics from the University of Michigan–Ann Arbor and a bachelor’s degree in economics from Kenyon College. Doors will open at 9:30 a.m. for registration and coffee. This free event is open to the public.